Police Bureau of Investigation (PBI) arrested two madrasa girls on Tuesday who carried kerosene for killing Nusrat Jahan Rafi. The arrestees are Jannatul Afroz, daughter of Abdul Aziz and Kamrunnahar Monir, daughter of Saleh Amhammad, said PBI sources. PBI Additional Police Super (ASP) Moniruzzaman confirmed that they were nabbed from madrasa examination center at Sonagazi in Feni. Kamrunnahar and Jannatul Afroz were held according to the deposition given by two accused Shahadat Hossain Shamim and Noor Uddin before the court on Sunday. Kamrunnagar Moni is the niece of Shahadat Hossain Shamim, one of the main accused over Nusrat murder. Kamrunnahar carried 1 liter kerosene on April 6 to the madrasa, PBI said. With this arrest, police and PBI have so far arrested 16 people in connection with the murder. 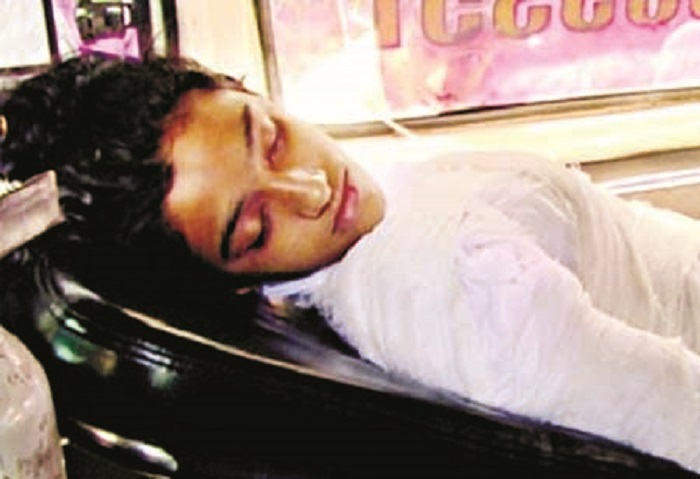 She breathed her last five days later at the Dhaka Medical College Hospital.